Towards the end of Elizabeth I’s reign, organised theatre first appeared in England. For centuries there had been a tradition of travelling players and entertainers staging plays at fairs, in the courtyards of inns and on market days. Now permanent theatres were starting to appear, particularly in London. London’s South Bank was the location for the Rose Theatre, the Curtain, the Theatre and the Globe. It was very fashionable to go to the theatre, with the nobility frequent visitors; indeed the Lord Chamberlain of England was the patron of Shakespeare’s own company of players. The poorer theatre goers would pay one penny to stand in the stalls in front of the stage, whilst wealthier patrons would pay up to half a crown to sit under cover. The plays from this era tell us much about life at the end of the 16th and beginning of the 17th century. It was a time of tremendous political and social flux. These were difficult and dangerous times, particularly in respect of religion. Elizabeth I was a Protestant queen who had had to protect herself from popish plots and even an armada, sent against her by her Catholic brother-in-law, Philip of Spain. This was the complicated political and social backdrop to Shakespeare’s plays, penned between 1590 and 1613. Although his family were outwardly Protestant, Shakespeare may well have been a closet Catholic. 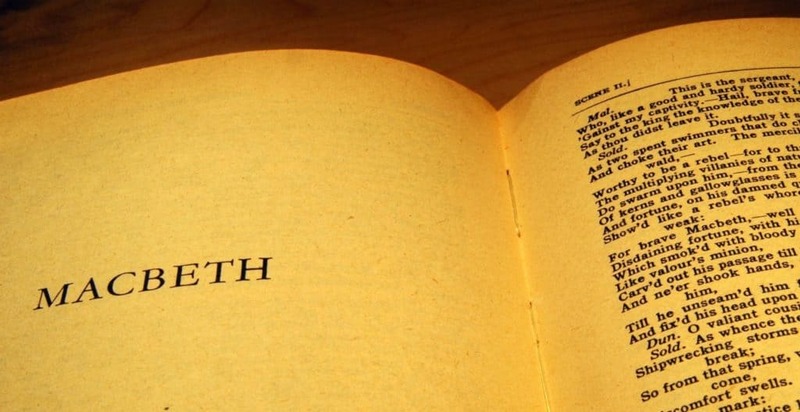 Analysis of his plays by Clare Asquith in her book ‘Shadowplay’ leads her to speculate that Shakespeare was indeed a Catholic and furthermore a political subversive who embedded political messages in his works. It is certainly true that one of his plays, ‘Richard II’, played a part in the Essex rebellion of 1601. On Saturday 7th February 1601, when the aged Queen Elizabeth was just two years from her death, Shakespeare’s company was asked to perform the play ‘Richard II’ at the Globe Theatre. The play tells the story of the last two years of Richard II’s reign and how he was deposed by Henry IV, imprisoned and murdered. Shakespeare wrote and published ‘Richard II’ around 1595 but the first editions of the play were printed without an important scene: the Parliament scene or ‘abdication episode’ which shows Richard II resigning his throne. Historically correct, at the time it was considered politically unwise to include the scene because of parallels between the ageing queen and the former king. King Richard had relied heavily on politically powerful favourites, as did Elizabeth; her advisors included Lord Burleigh and his son, Robert Cecil. Also, neither monarch had produced an heir to ensure the succession. At the turn of the 17th century, the play could certainly be seen as provocative, if not politically subversive and even treasonous. Indeed, the request to perform the play on that date was made by supporters of Robert Devereux, Earl of Essex, who planned to mount a rebellion the very next day and seize the throne. His supporters paid Shakespeare’s company forty shillings above the normal rate to perform the play, hoping it would convince the public of the righteousness of their cause and bring events ‘from the stage to the state’. On 8th February the Earl, himself a former favourite of the queen, marched into London with 300 armed men – but the plan was unsuccessful. The people did not rise up in support of the cause and the rebellion failed. Essex was captured and on 25th February 1601, he was beheaded for treason. Did Shakespeare and his company of players realise the significance of the play they were asked to perform? Although some members of the audience were subsequently arrested and executed for treason, no charges were made against the actors. Indeed the company was commanded to perform the play at Whitehall for the Queen herself on Shrove Tuesday 1601 – the eve of Essex’s execution.